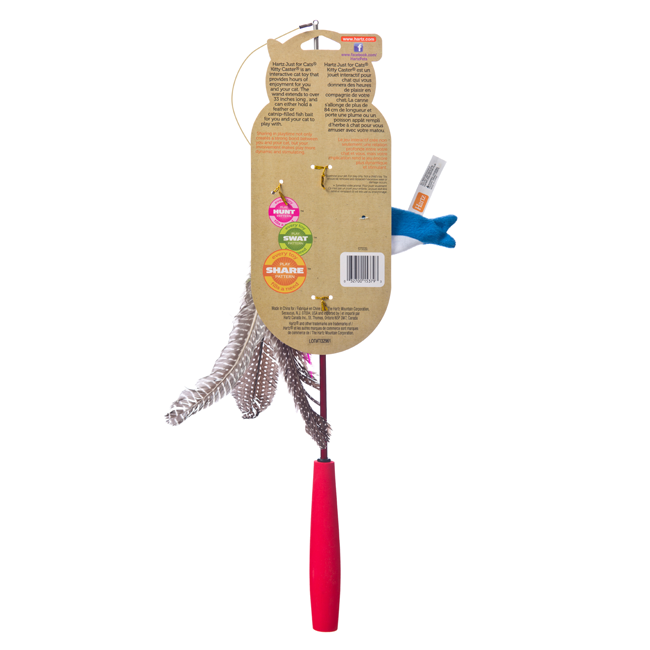 Bait your hook and drop a line with the Hartz Kitty Caster. 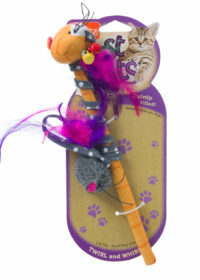 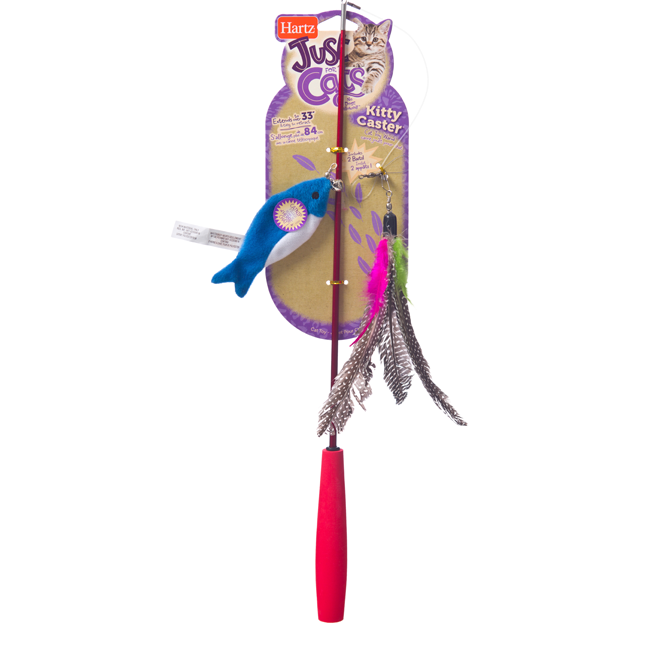 This interactive cat toy wand extends to over 33 inches for customized play that lets you control the movement and length of your “pole”, plus is retractable for easy storage. 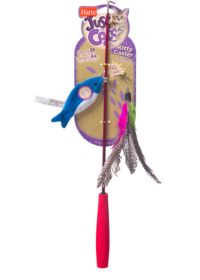 Put up your “Gone Fishing” signs and get ready to tackle a subaquatic swimmer that’s sure to become one of the greatest fishing stories ever told. 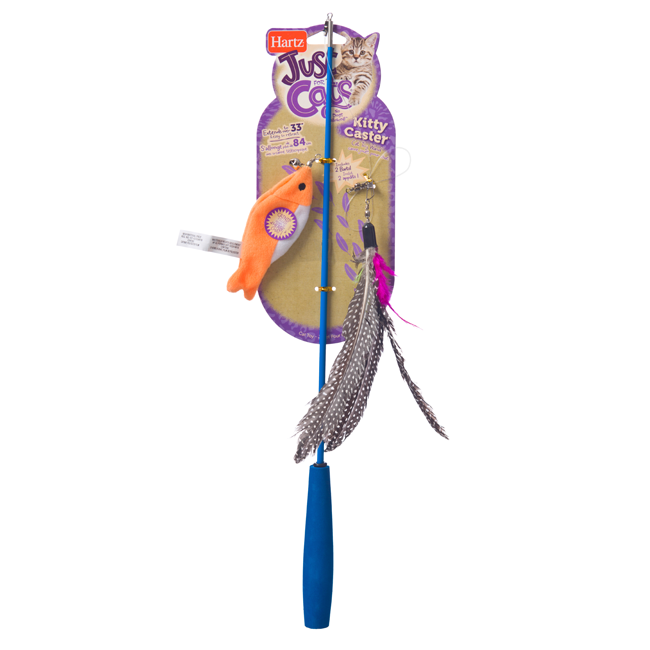 The Kitty Caster comes with two lures which are easy to attach and detach from your line. 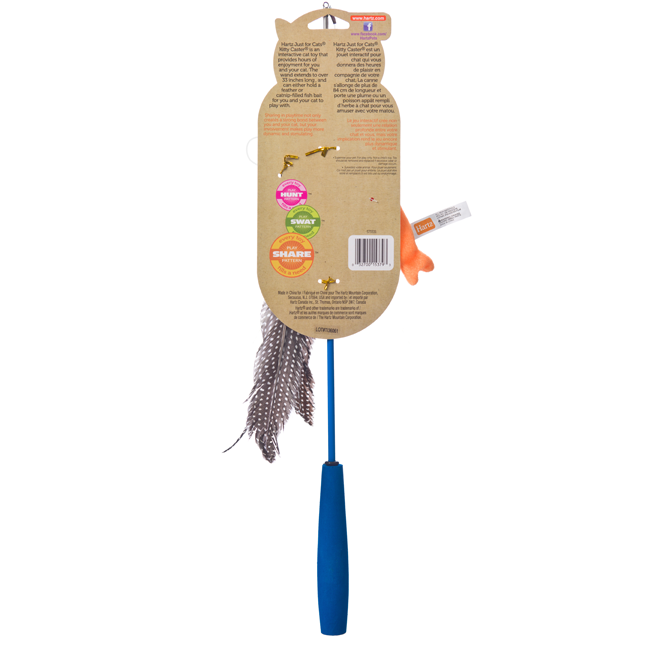 A catnip-filled fish with a crinkling texture and attached bell, as well as a plume of brightly colored feathers, are just what you need in your tackle box to reel in a big one. 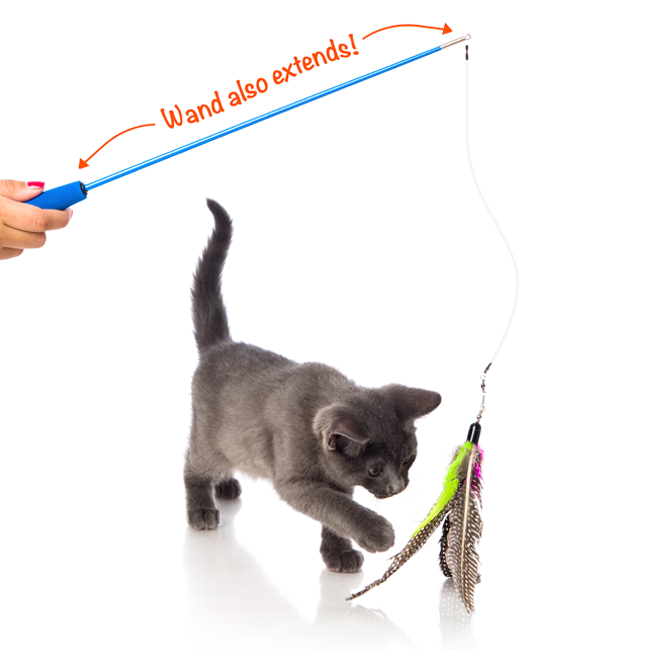 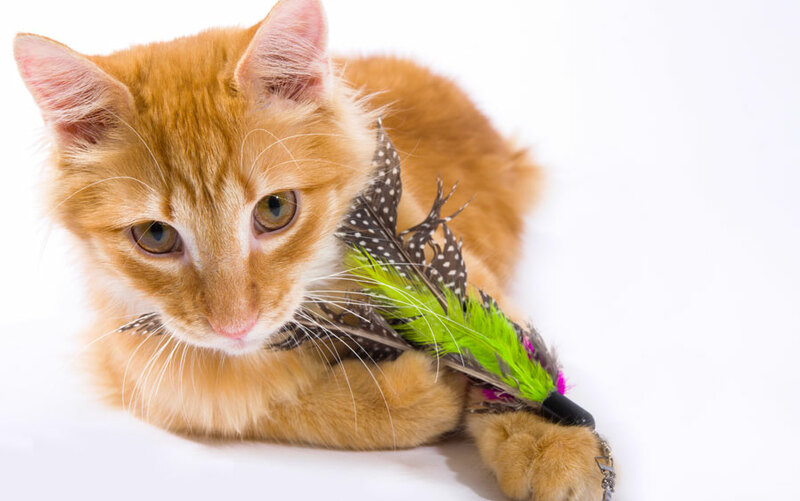 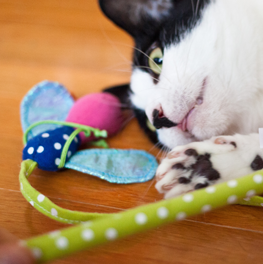 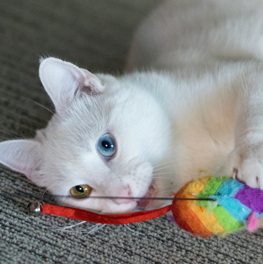 Designed to encourage playtime and bonding, this wand keeps cats agile and alert while letting pet parents get in on the fun! 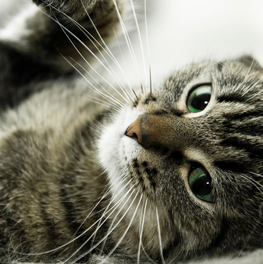 The variety of textures captures your cat’s attention to keep them coming back for more pawsome action. 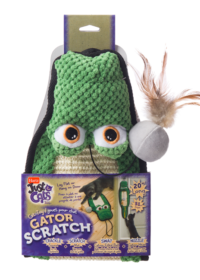 Simply dangle the bait, and even the most inactive furry fisherman will be up on their paws ready to swat and stalk.